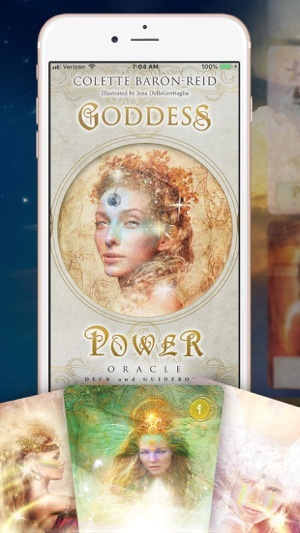 Get a 7-day RISK FREE Trial to Colette Baron-Reid's Goddess Power Oracle Cards! *After your 7-day RISK FREE TRIAL, a one-time in-app purchase will unlock these premium features. So much beauty!!! So beautiful to look at. The format is phenomenal. I love how you can save your readings and the harp! So much magic in this app! Only downside is that you can’t get her e-book with the history of all of them. That’s ok though! 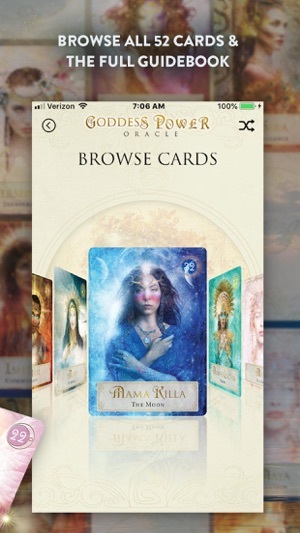 This is one deck I’d like the hard copy of but if I was only going to have one app I’m so glad I went with this one!!! P.s. the introduction text gave me so much life! So thankful to have found Colette. So thankful. The goddesses are beautiful and new to me. Each reading I’ve done has been amazingly accurate and beautiful! Just when I am curious enough to ask...how much deeper can I go? 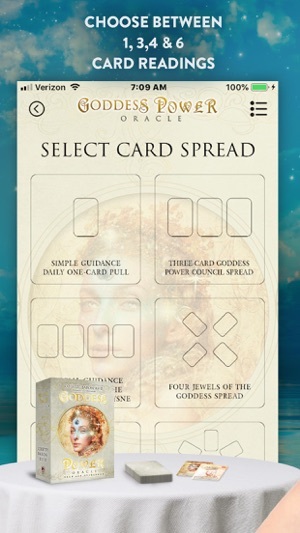 I receive the gift of this new oracle deck. I’ve purchased many of the new oracles by Collette Baron-Reid and to my delight, I’ve been amazed each time. 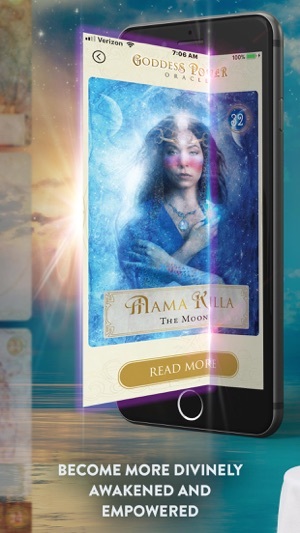 I encourage all who love love and need an opportunity for self-love to experience this deck! The cards are beautiful, but the app is clunky. 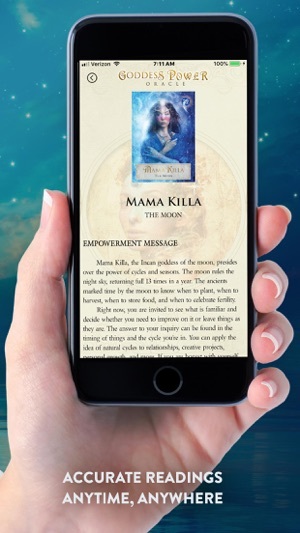 I have other cards apps from Hay House and they are seamless. The constant pop ups are also frustrating. No I don’t want to sign up for the email list, no I don’t need a break down of the spreads each time I select one. I think for the cost of this app more time should have been spent on user experience. I love the cards they are beautiful and well written. I wish the app was designed like the others I’ve purchased from Hay House.